The gold/silver ratio (atypically shown here in the reverse as the silver/gold ratio) has been a very accurate buy signal for silver time and time again. 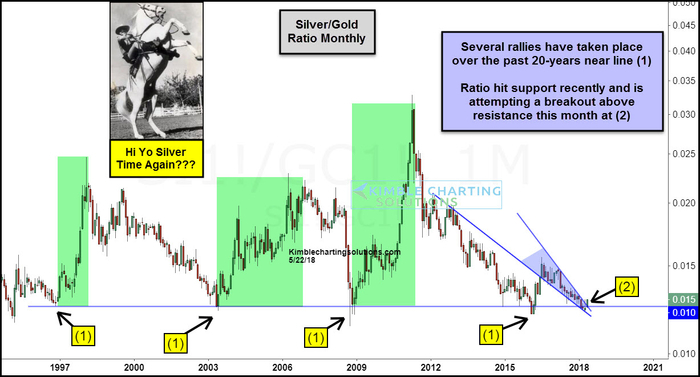 Numerous times over the past 20-years the ratio has found line (1) to be support, where a rally in the ratio took place, reflecting strength in Silver over Gold. The decline over the past few years has the ratio testing support again near the apex of a potential bullish falling wedge.